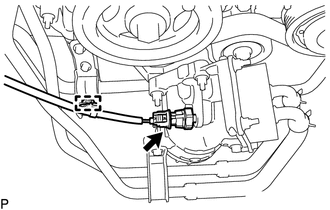 (a) Disengage the clamp and disconnect the engine oil pressure switch connector. (b) Using a 24 mm deep socket wrench, remove the engine oil pressure switch assembly. (a) Disconnect the engine oil pressure switch connector. 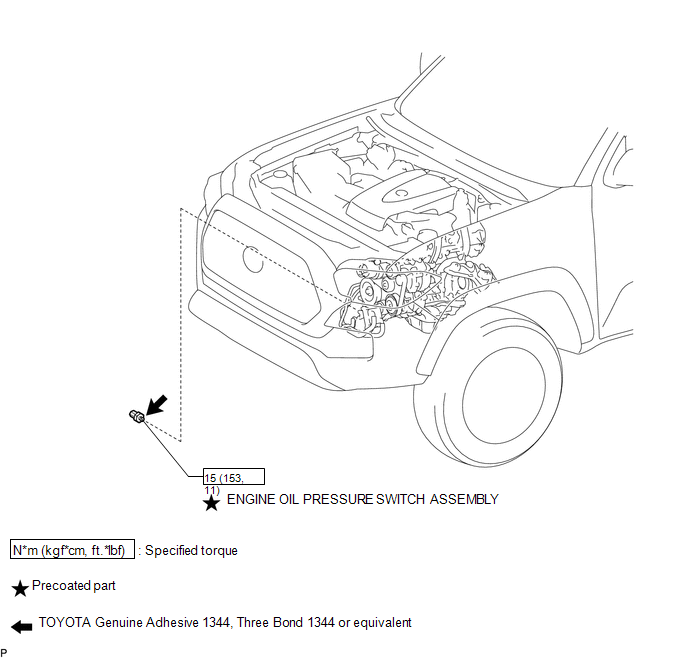 If the result is not as specified, replace the engine oil pressure switch assembly. (d) Connect the engine oil pressure switch connector. 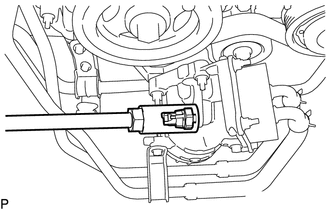 (a) Apply adhesive to 2 or 3 threads of the engine oil pressure switch assembly. Do not apply adhesive to the oil inlet port of the engine oil pressure switch assembly. (b) Using a 24 mm deep socket wrench, install the engine oil pressure switch assembly. Do not start the engine within 1 hour of installation. (c) Connect the engine oil pressure switch connector and attach the clamp.